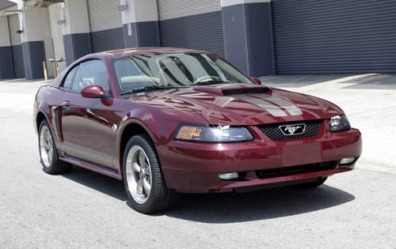 Includes unique Crimson Red exterior paint and Arizona Beige Metallic wheels and tape stripes, spoiler delete, leather shift knob, 4-way head restraint, dual fold-away mirrors and 40th Anniversary logo on floor mats. Includes aluminum finish door lock posts and shift boot trim ring, gray-metallic center finish panel and shifter bezel, stainless steel pedals and foot rest, leather shift knob and 4-way head restraints. Includes 17-inch bright alloy wheels. Includes AM/FM stereo, 60-Watt equalized amplifier, 1140-watts peak power, 10 speakers including 4 subwoofers, Radio Data System, integrated clock, 6-disc in-dash CD changer and Sirius Satellite Radio capability.